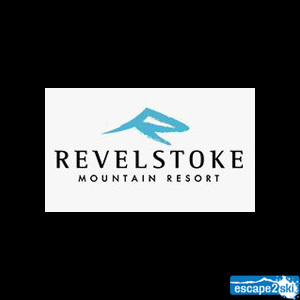 Revelstoke Mountain Resort in BC & Escape2ski provides info on; vertical drop 5620ft/1713m, total trails 69, closest airport 120mi/193km, lifts 5, and more. Revelstoke Mountain Resort is a ski and snowboard resort on the Powder Highway located near the city of Revelstoke, British Columbia. The Ski Resort is found on Mount MacKenzie, which is part of the Selkirk Mountain range of British Columbia. Perhaps a little-known fact is that Mount MacKenzie is named after the second Prime Minister of Canada, Sir Alexander MacKenzie. The resort has grown from the original Powder Springs Ski Area, which opened in the late 60’s, with a vertical drop of 1100ft/335m, a modest 45 acres of skiable terrain and a two-person lift to a resort that now features the largest vertical drop of any ski area in North America. Construction of the present Revelstoke Mountain Resort complete with ski-in/ski-out accommodations started in 2005 and debuted December 22, 2007. Revelstoke Mountain Resort boasts a small village with a quaint vibe and is the only resort to offer lift, cat, heli (through Selkirk Tangiers), and backcountry skiing, and snowboarding operations, all from one village. Revelstoke Mountain Resort is home to four bowls, North, South, Greely, and Powder Assault which are amazing any day, but when it snows, and it does, these bowls make Revelstoke one of the best ski areas to find that perfect powder stash. Today, Revelstoke Mountain Resort has grown from being known only within the local community to a ski resort that has earned a worldwide reputation for great skiing and snowboarding. Revelstoke Mountain Resort’s terrain is tailored towards intermediate to advanced skiers and snowboarders on trails such as Critical Path, Cannonball, and Snow Rodeo. That being said, Revelstoke Mountain Resort provides a family-friendly environment, so even beginners can still enjoy the luxury of skiing or snowboarding from the summit to the base via The Last Spike, which is one the longest beginners runs found anywhere. Revelstoke Mountain Resort offers some incredible fall line skiing and snowboarding on the black diamond run of Pitch Black, which extends from the summit to the Revelation Lodge. Another cool favourite is the black diamond run, Devil’s Club, which begins at the summit and extends all the way to the base area. Turtle Creek, at the base of the mountain, hosts a magic carpet surface lift and beginner slopes for those looking to gain confidence and enjoy a day of skiing or snowboarding. The mountain features two terrain parks, the Ghome Zone, which is the smaller park and is great for anyone looking to gain confidence before moving to the Revelstoke Mountain Resort Progression Park. The Progression terrain park covers approximately 14 acres and is located under the Stoke Chair and features over 20 jumps and a variety of jib features. The Ski and Snowboard School consists of a dedicated group of instructors whose priority it is to improve your confidence and abilities on the slopes. Lessons are available for children, and adults, in a group setting or for those wishing some detailed instruction, private lessons are available. Revelstoke Mountain Resort hosts a two-day women's ski program known as Girls Do Ski. This annual event is usually held the third weekend in January. Revelstoke Mountain Resort base area village has a cozy feel complete with several places for dining, shopping or a quick snack. Best of all, luxury accommodations are just a short stroll away at The Sutton Place Hotel, which is a bonus after a great day on the slopes. To further complete your experience, do not overlook the Refinery Day Spa located in the village. Off-mountain activities range from Nordic skiing and lessons on 26 km of groomed trails operated by the Revelstoke Nordic Ski Club, which is located about 5mi/7km south of Revelstoke. You will also find guided snowshoeing, dog sledding, paragliding, and snowmobile tours. Arrangements can be made by phoning 1-250-814-5060. There is also a tube park located at the base area of the mountain for added off the slopes family fun. Childcare with qualified child-minders is available to give you that well-deserved break. If your child falls between the ages of 18 months to 6 years, there is a range of activities available including ski lessons for those ages 3 to 6 years at the Revelstoke Outdoors Centre. If staying on the mountain is not an option, the city of Revelstoke, BC with its small city charm and friendly people is just a short distance away and offers accommodations, many dining options, shopping, attractions, including an aquatic centre, railway museum, and more. The Revelstoke Resort Shuttle is available to take you to and from the mountain. The shuttle schedule can be found below in the Helpful Links section or by calling 1-250-837-2268 for more information. Note, exact fare is required, and the cost for a one-way trip is approximately $3.00 CDN and $5.00 CDN for a round-trip. For the frequent rider, a Season Pass is available. The city of Revelstoke has a public transit system that can be used in conjunction with the Resort Shuttle. See the Helpful Links section below for more details. The Revelstoke Connection Stoke Shuttle is a great choice for getting to Revelstoke, BC from other cities and airports in the area. Arrangements can be made by phoning 1-888-569-1969 or visiting the website or the Helpful Links section below. Revelstoke Mountain Transfers and Tours offers private transportation to the Vancouver, Kelowna, Kamloops, and Calgary airports. Regional drop-off locations are also available. Phone 1-250-814-2538 for more information or visit the website. 8:30am to 3:00pm : Beginning in Feb to 3:30pm : Hours maybe subject to change.